Naše Dvorište Bar is located at No 45 Svetozara Markovića Street, at very attractive location for nightlife in Belgrade. This remarkable place is opened from 8 am until 3:30 am in the morning. All fans of quality music would be able to find their sanctuary here. 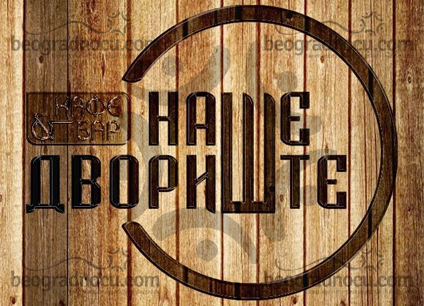 Music in Naše Dvorište Bar is mostly Deep House, Disco House, Funky House, Electro House, Retro Disco music and here you can expect great parties with great energy. Naše Dvorište Bar accommodates between 150 and 200 people and what will delight you most about this place is friendly staff that will make you feel very welcome here. Depending on what you need and enjoy the most in here you can make reservation for booth, high seating, counter and bar table. This bar is architecturally designed so there is no bad place here and wherever you are you are always in centre of attention. In Naše Dvorište Bar you will feel like you are at home and at your first visit you will want to come back again. Naše Dvorište Bar is oasis of peace, pleasant ambient, decorated with palms and other trees that are ideal ambient for morning coffee, frappe in afternoon or cocktail in the evening. In the evening this place is a real night bar with Dj performances, quality drinks and excellent service. At the end, Naše Dvorište Bar is a place where great party is always present. If you don't believe us, see for yourself. Come and have time like you never did before. Great interior and positive energy are inevitable for this place. Make your reservation on time.